THPBlog: Fruit Growers Supply Company to log NW of Susanville, CA. Fruit Growers Supply Company to log NW of Susanville, CA. This THP is about 20 miles north of Westwood, CA, and about 20 miles NW of Susanville, CA at an elevation of 5,560 to 6,115 feet. Fruit Growers Supply Company is planning a group selection and selection tractor based logging operation in ponderosa pine, Jeffrey pine, white fir, sugar pine, lodgepole pine and incense cedar forests. Northern goshawk sightings were reported in section 14 and at Logan Mountain, and greater sandhill crane sightings were reported in sections 4, 5, 6, 16, 17, 21, 28, 32, and 33. American badger sightings were reported in sections 6, 29, and 32, and Sierra Nevada red fox sightings were reported in sections 12 (2000/2003) and 16 (1982). Suksdorf’s milk vetch was found in a wet area in section 30. 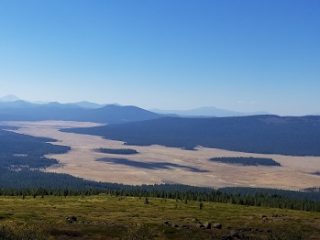 There is a CA spotted owl nesting territory .25 miles east of the THP area at Crater Mountain, and a CA spotted owl nesting territory over a mile west of the THP area at Logan Mountain.